Out flamingo-spotting at the Fuente de Piedra lake, near Campillos, we were stopped in our tracks by this odd insect. It had six front legs but no hind legs, and was dragging itself along the sandy path leaving a furrow behind. About 3-4cm long. 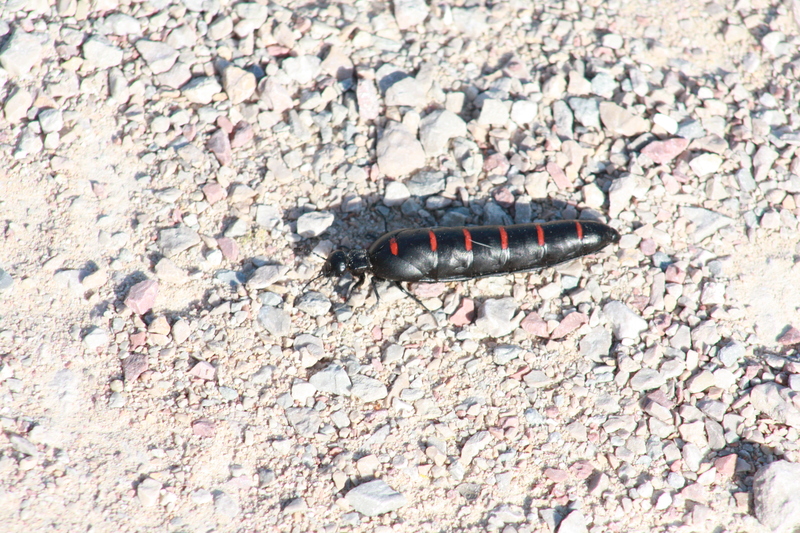 Black with red bars across its back. The only thing in our insect book which it resembles is the African driver ant, but these do not have the red markings and are not supposed to be in Spain. So at a loss to know where else to look, I posted a query on the Natural History Museum’s NaturePlus discussion page. Thanks to ‘tate555’ it is now identified as a beetle not an ant, the meloe majalis, known in Spain as the escarabajo aceitero which translates as oil beetle. A quick Google search revealed loads of photos just like mine, spotted all over Spain. 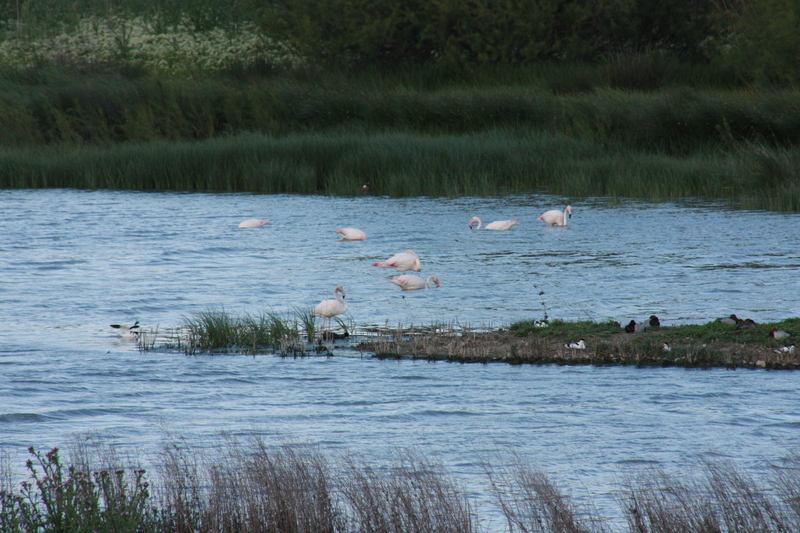 It was a cold windy day at Fuente de Piedra, but the flamencos were out in force too, so it was quite a wildlife-spotting day. 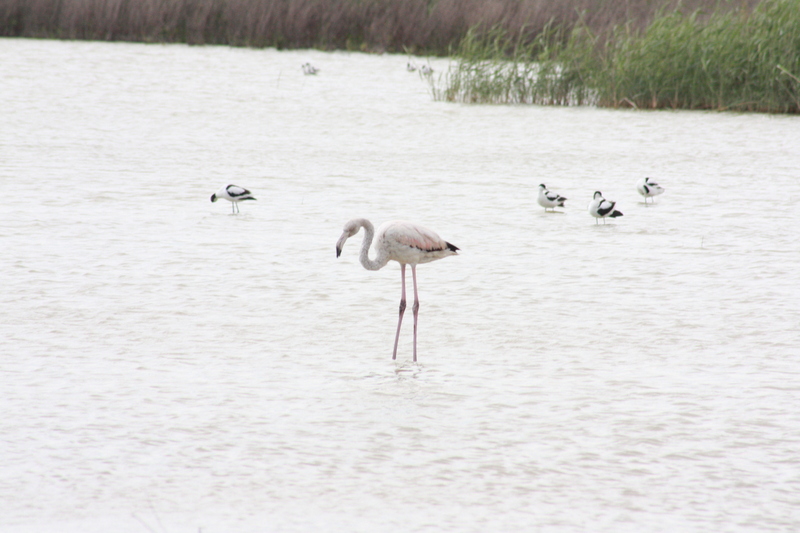 This entry was posted in Nature, Out & About in Andalucia and tagged Andalucia, flamingoes, insects, Sandra Danby, Spain, wildlife on May 22, 2013 by sandradan1. Thanks for following and liking!